The Hon. Matan A. Koch, Esq. learned at a very early age that the key to succeeding with a disability was to focus on the many abilities with which he was blessed, rather than focusing on those things that he was unable to do. Speaking from an early age on the simple idea that we all have strengths and weaknesses and we maximize our potential by focusing on the strengths, Matan has spent his entire life living this idea and encouraging others to do so. Matan’s first formal role working to maximize the value of people with disabilities was as a Yale undergraduate, where, as the president of the student disability community, he worked with the office of the President of the University to completely modernize and overhaul the university’s systems for helping students with disabilities to more fully capitalize on their academic experience. In a citation upon his graduation, the University said, “he did more than anyone in recent memory to raise awareness about disability. He has our admiration and gratitude for making Yale a more inclusive community.” Also during that time, Matan was appointed to his first political office, as a Member and then the Vice-Chair of the New Haven disability commission. After graduating Harvard Law School, he spent two years in the general counsel’s office at the Procter & Gamble Co. 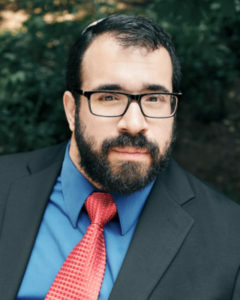 While there, Matan balanced his practice of commercial law with opportunities to consult on disability issues, including serving as part of P&G’s disability network as it began to explore how the company would better leverage the value represented by people with disabilities, both as employees and consumers. At the same time, Matan began speaking and advising area synagogues on how to enrich their programs by including more people with disabilities. In 2007, Matan moved on to an AmLaw 100 firm in New York, where, in addition to a thriving litigation practice, he consulted with the firm on issues of disability as they arose. He continued advising other organizations on the side. In 2011, while still at the law firm, Matan was honored to be appointed by President Obama and confirmed by the Senate to serve on the National Council on Disability, a role that he held until May 2014. Matan now uses this wealth of experience to help his clients commercialize and capitalize the talent, purchasing power, and experience of the disability community. “Universal Inclusion for Lawyers CLE”, Kramer Levin Naftalis and Frankel, LLP, New York, N.Y.
For more information on scheduling Matan to present for or consult for your organization, please contact us.